In Los Angeles getting a taxi is somewhat of an ordeal. The city is so spread apart that you almost have to have a car to get around. Because the demand for taxis isn't as high as say New York City, you don't see an abundance of cabs like you would in other cities. However, despite our geographical challenges, LA seems to be ramping up it's cab presence and a lot of that has to do with apps that make hailing one a cinch. Enter Taxi Magic, a company that boasts they are "bringing the taxi back". I'd heard of the company but hadn't gotten around to trying it so when I was offered the opportunity to experience the service, I was all over it! To hail a cab, simply select "I'm Ready To Go!" or "Pick Me Up Later", the app locates your location, tells you what taxi company is closest, and allows you to enter a destination if you'd like to calculate your fare and instructions to the driver if you'd like. When you're ready you hit "Come Get Me" and the app tracks the location of the cab, displaying it's ETA on it's way to you. Inside the cab there's a Taxi Magic screen in a seat headrest that brings up your name and app info, as well as displays your fare. Upon arrival at your destination, a tip option pops up on the screen allowing you to select the percentage, if any, you'd like to give, you hit enter and you're set. All really easy! Here's an explanation of paying for your Taxi Magic ride. I have to be honest though, the first time using the service was a little confusing. All apps, sites, etc. where you are receiving a service make you enter your credit card info. That's standard. But the way the app displays, I thought my credit card was being charged instead of applying my Taxi Magic credits. 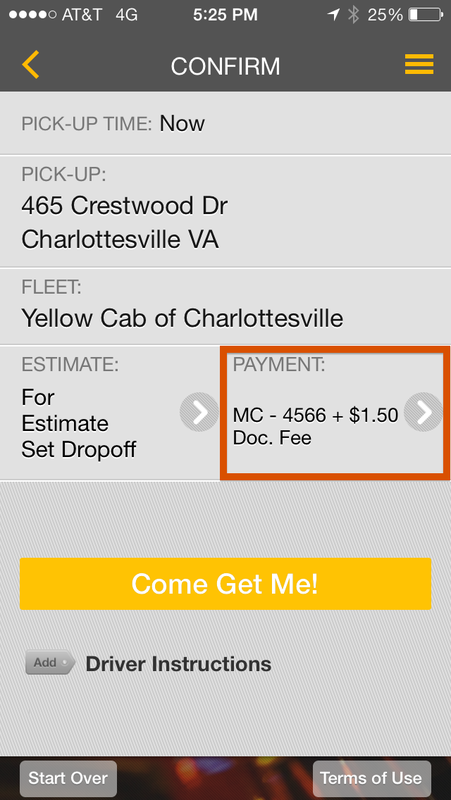 The app knows you have credits - even though it shows your credit card as the form of payment, it will process the fare using your credits and put a $0.00 charge next to your card. Because the app knew, my credit was applied and the transaction was complete. However, the driver should've been better trained with Taxi Magic because he also thought I hadn't paid so he turned the meter back on to manipulate it in a way to look like I took another ride so he could run my physical credit card, charging me for (what we didn't realize was) the second time. Despite that challenge, Taxi Magic was great about the mix up. They credited my Taxi Magic account and worked with the cab company to get me a credit card refund right away. I can't say enough about the customer service! I was so impressed, I took another taxi ride again a few days later to see if the process was smoother - totally was. I used the in-cab Taxi Magic screen, followed the prompts, and was done. Extremely, extremely easy. The whole set up is perfect if you need a cab and don't have cash. Or if you're out drinking and a little too tipsy to fuss with cash or a credit card. Added bonus: all of the cab drivers are licensed. As a woman, if I'm taking a cab I don't want to get into a car with a random person who has no certifications. Another awesome fact: Taxi Magic isn't only an LA thing. They service 60 cities, from NYC, to Houston, to Jacksonville. 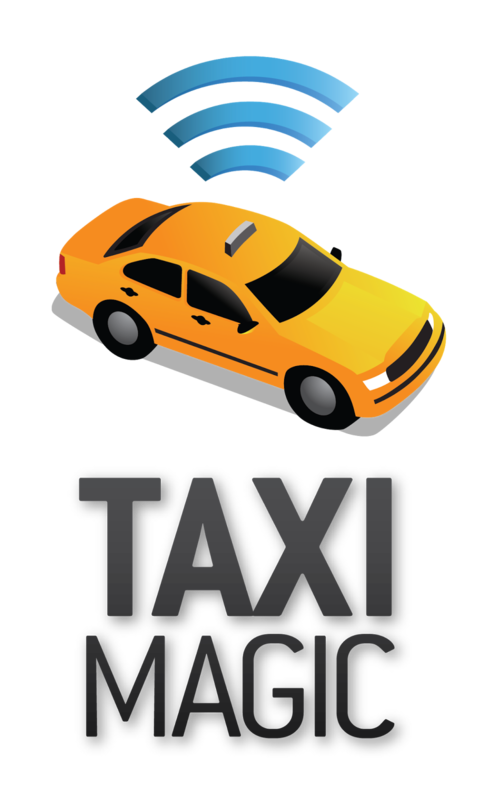 Check out the complete list of Taxi Magic cities. After you enter the code, the amount will appear on your “Promos and Credits” screen. I've downloaded this app but haven't actually tried it out yet. Thanks for the tips (and the promo code!). Not sure when you made the change, but I'm loving the new layout! That's pretty cool! I hardly ever use a taxi anymore. Those days of piling everyone in one after a night out are long gone... Haha!